Sue a former attorney (Yes!) began blogging in the autumn of 2009. 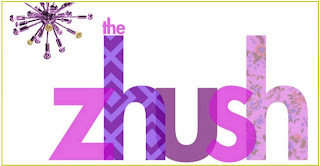 During this time she has endeared a huge following and opened a very fun online shop, The Zhush.com. The Zhush as she says on her site...meaning..
to primp or fluff up. I like to apply the word to all things style related. Sue has offered this gorgeous Eiffel Tower Desk Set for one fortunate reader who loves all things French! 4) For a 2nd entry become a follower of Sue's and The Zhush! This fabulous giveaway will run through Sunday April 3rd Midnight CST and be announced on Monday March 4th﻿! So Hurry and Enter!! Adore this image of the Eiffel Tower!! 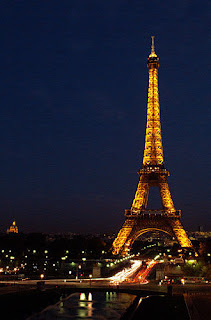 One day soon I will be enjoying the fabulous French shops and countryside!! A new Giveaway is coming up for all of you Francophiles. Check back in a few days! The Winner of our Eco Natural Giveaway is Kelly ﻿from Style Attic! 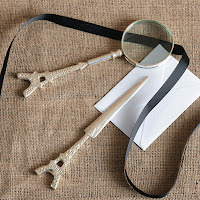 Kelly has a most wonderful blogsite, always inspiring. Her latest post is very cool! Please send me your contact info and I will forward to Alicia and Alan. Go through their site and remember you can choose 3 luxurious soaps and 3 balms!You will love the way your skin will feel! As you saw Eco Natural has some of the best confections for wonderful prices! Order a selection and you will be in love with their products! I also have two new and exciting Giveaways coming up so keep reading and becoming a follower will put you a step ahead! Artful Expression with an Eco Natural Beauty Gift for You!! 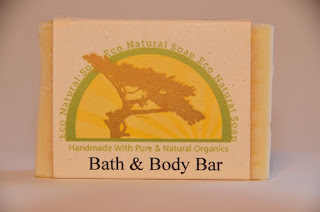 Alicia and Alan Hicks, the founders of Eco Natural Soap asked me to try some of their products and then also offered to provide a gift for one lucky reader! They started their Natural products company after Alicia had been making energy saving Wool Felt Balls for the clothes dryer. These wool felted pieces made drying time substantially less and thus created lower energy usage. This started a passion for finding cleaning products for the home without harsh chemicals and agents. Alan did much research and testing in determining how to make soaps that they felt did what was required naturally. 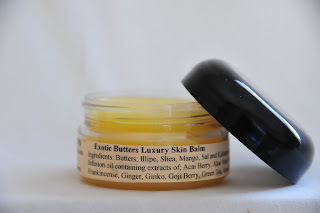 One of the first of their products I loved was The Exotic Luxury Skin Balm in Citrus Scent.This all-over skin balm nourishes all three skin layers; epidermis, dermis and hypodermis. It takes very little of this to work on your skin.This balm is perfect for any dry skin on your body. I like using this at night. Some of the ingredients include Shea butter, almond oil, extracts of Acai berry, aloe, mango , ginger and more. The Bath and Body bar was so soft and smooth. The ingredients include Jojoba, Shea, and Flax seed. The citrus scent was again light and lingering. The natural oils including Olive were very softening to the skin. 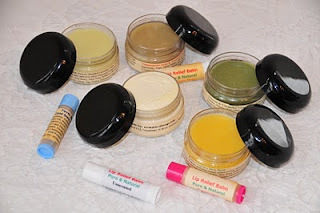 The Gift to one winner will include Your choice of three Body Butters/or Balms and three Soaps from Eco Natural Soaps. What an exciting way to get your skin ready for Spring! Their products are also priced extremely reasonably! 1) Be a follower of Art by Karena or become one!! 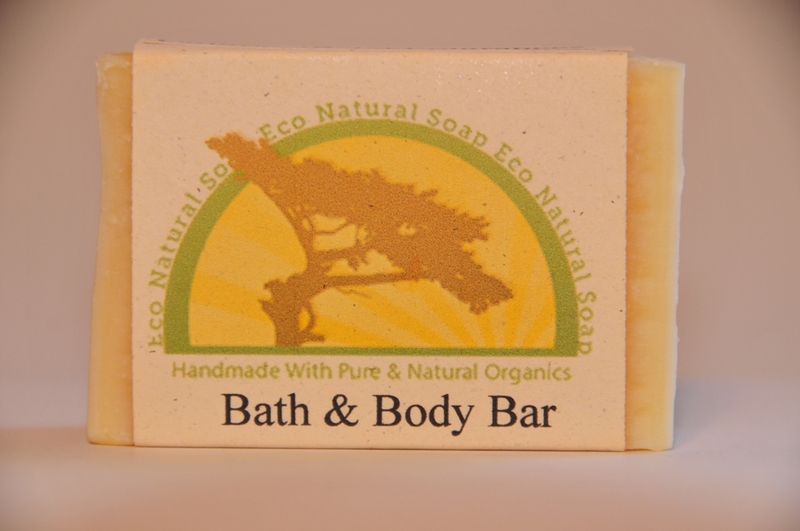 2) Go to Eco Natural Soap and review their array of products. 3) Come back and tell us what you like best! PS I won a wonderful gift from Megan of Beach Bungalow 8 the new Thomas Jayne book "The Finest Rooms in America" I am excited beyond,thank you Megan! The Winner and a Talented Young Woman in Atlanta! Congratulations to Blayne, a multi-talented young woman in Atlanta! You are the recipient a a very special painting by Carol Schiff Studio. Blayne, is the Director of Creative Services at Beacham & Company, REALTORS and has been an integral part of the the company’s success in its first four years in business. Blayne’s story does not begin with Beacham & Company, however. 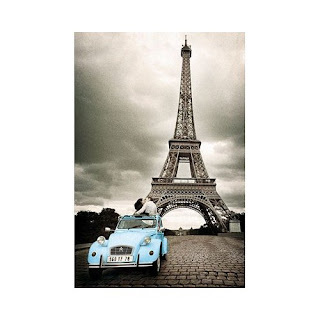 Blayne began studying photography at the age of 8 at The Westminster Schools, and in high school she spent a summer abroad studying at the Scuola International di Grafica in Venice, Italy. After high school, Blayne was accepted into the competitive College of Communications at Boston University, one of the top 5 Photojournalism schools in the country at the time. She worked as a photographer and magazine editor at The Daily Free Press, the school’s newspaper. For two years she shot everything from rallies, to parties, to public figures, including Mitt Romney, Rudy Giuliani, Senator Edward Kennedy, and Johnny Cochran. She took painting classes in addition to her photography work, and considers that a time of extensive artistic growth in her life. Later, she graduated with a BA in History from Franklin College of Arts and Sciences at The University of Georgia in 2006. After graduating from UGA, Blayne helped Beacham & Company burst onto the Buckhead real estate scene with the company’s popular real estate magazine, “The Beacham Series.” The magazine has been called “a gift to Atlanta,” by one Beacham & Company client and it has found a permanent place on the coffee tables of Buckhead’s most prominent citizens. 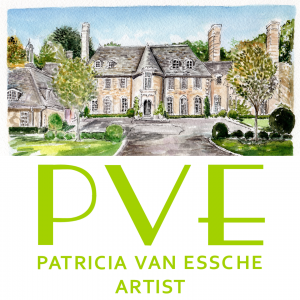 Blayne is the principal photographer for the magazine, and as a result she has become well accomplished as an architectural photographer. 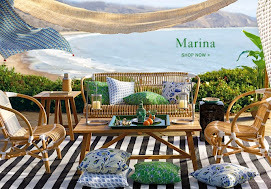 Over the last year, Blayne developed a blog called “This Photographer’s Life: In Search of a Style,” which has enjoyed enormous success and helped to promote Beacham & Company to a new set of consumers. An aspiring artist who has experienced almost overnight success with her first show earlier this year, Blayne demonstrates a growing range of artistic talent seemingly every day. Again thanks to all of you who are such supportive followers and friends of my site!